Hello Loves! If you popped over from my other post from today, thank you for sticking around. 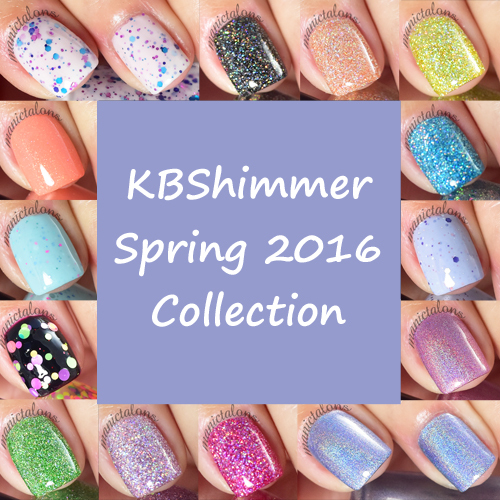 I have the complete KBShimmer 2016 Spring Collection to show you. This release actually consists of two collections of 7 polishes each. There's the Spring Collection that was inspired by relevant spring shades for 2016 and then there's the Mega Flame Collection that is a continuation of KBShimmer Favorites like Alloy Matey. Let's take a look at the Spring Collection first. Then we'll end with the incredible Mega Flame Collection. The first polish in the Spring Collection is my absolute favorite. I love the look of a nice crelly, but this one is incredible! Prints Charming consists of a milky white base that is loaded with fuchsia, turquoise and sapphire glitters. The result is a very fun and feminine polish that builds to a beautifully opaque finish with awesome depth in three coats. I found it fairly easy to apply without much need to move the glitters around. Peony Pincher is a new addition to the Ultra Flare line. This is described by KBShimmer as a pastel pink holographic polish with lavendar undertones, but if you ask me its purple. lol The holographic effect is quite strong and I found it to be opaque in two easy coats. Hello Dahlia might just be the perfect peach for spring. Based on the 2016 Pantone Color Peach Echo, Hello Dahlia is a dusty peach crelly with scattered holographic shimmer. She absolutely shines in sunlight and is more subdued indoors. I felt I needed three coats for full coverage. Upside Round is a fun, 90s inspired glitter topper. I confess, I forgot to swatch this one before applying my weekly gel polish, so this is one has a hot pink gel polish base hiding (sorta) under my chosen black polish base. Black also might not have been the best choice for showing this topper. There are blue glitter rounds that don't quite show up over black, but you can see them on some nails where they overlapped the other neon glitters. I found it needed a little bit of glitter placement, but that is to be expected with glitter this size. Pools Paradise is another Pantone inspired polish. Based on the Pantone color Limpet Shell, this light, green leaning aqua crelly base is spiced up with subtle pops of neon pink, periwinkle and aqua glitters. The result is a fun polish that will easily transition into summer. I found it needed three coats to be opaque. I Wet My Plants is based on the Pantone color Serenity. Aside from having the best name in the collection, the polish is pretty fabulous too. The pastel periwinkle crelly base has garden inspired shades of glitter - pink, sapphire, silver and purple. As with the others, I like this one best with three coats. The final color in the Spring 2016 Collection is another addition to the Ultra Flare line. Purr-fectly Paw-some is a pastel blue linear holographic polish with steel grey and periwinkle understones. This one is also inspired by the Pantone color Serenity. I found the holographic effect to be quite strong and the polish is opaque in two coats. Ready to see the new Mega Flames? This collection consists of micro holographic glitters in tinted bases. They all offer perfect, full coverage in two coats! 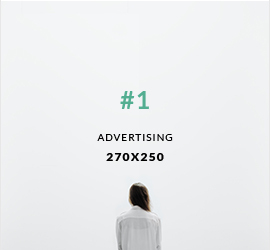 Application is a breeze. Removal can be a little bit difficult since they do have a heavy glitter load, but they are totally worth it! I won't say a whole lot about each one since I would be repeating myself over and over, but let's take a look. Oh...I should point out that this is the first collection I have swatched with my new setup since we moved, and I hadn't quite found my photography groove yet. So some are soft focused a little too much in an attempt (sometimes failed attempt) to capture the amazing "flame" from the glitter. But I think you can get the basic idea. None of them are dull compared to the others. All of the flames are shown here with one coat of KBShimmer Cleary On Top topcoat (so were the others above, but it seemed less important to mention it there. lol). First up is Ripe For The Pink-ing. This is a raspberry pink with blue undertones. Stalk Market is a celery green with yellow tones. Smells Like Green Spirit is a deeper lime green. This one is more like crayola green to me. Set in Ocean is a Caribbean Blue inspired aqua. Christy totally nailed the water theme with this one. Things That Make You Go Bloom is a lavendar toned beauty. And finally, for the lovers of all things dark and mysterious, Night Bright is a black tinted base with those holographic glitters. Be still my heart! Its like a galaxy on my nails!